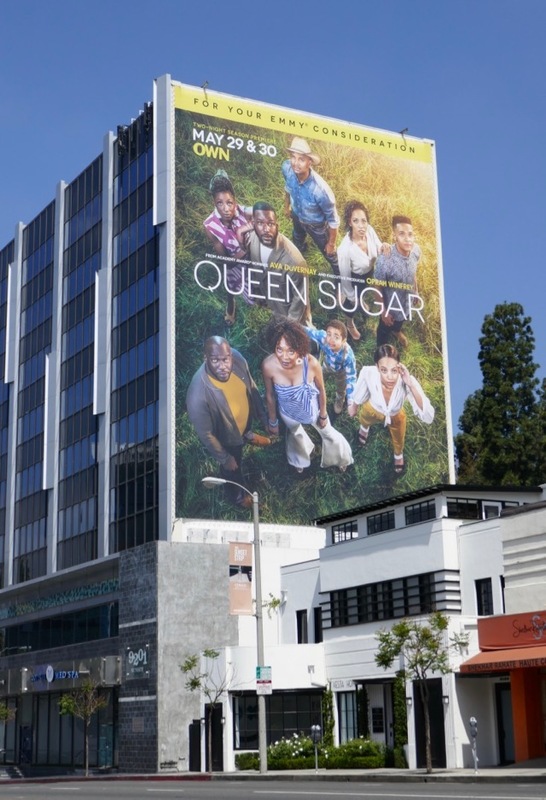 With a two-night premiere and giant-sized support along the Sunset Strip, the OWN family drama Queen Sugar is back in a big way for its third season. 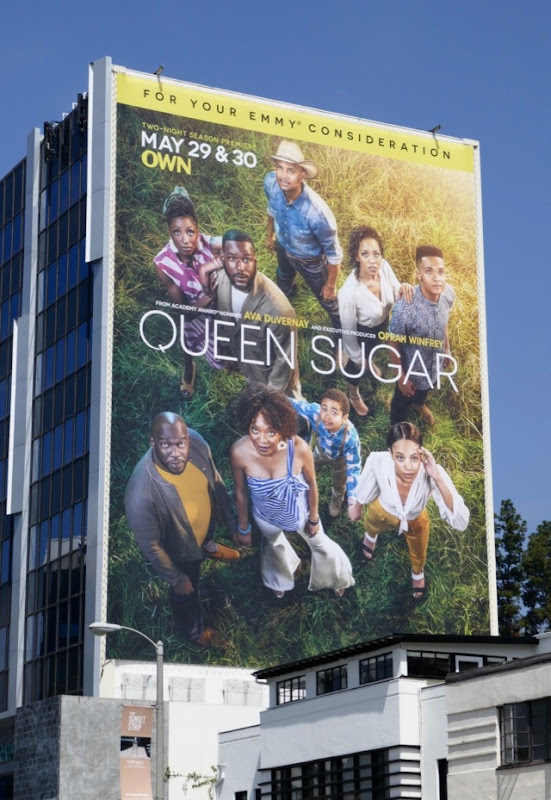 Created by Ava DuVernay and produced by Oprah Winfrey, the series based on the 2014 debut novel of Natalie Baszile continues to follow the extended 'Bordelon' clan as they continue to run their deceased father's resuscitated sugar plantation and the only African-American owned mill in the state of Louisiana. 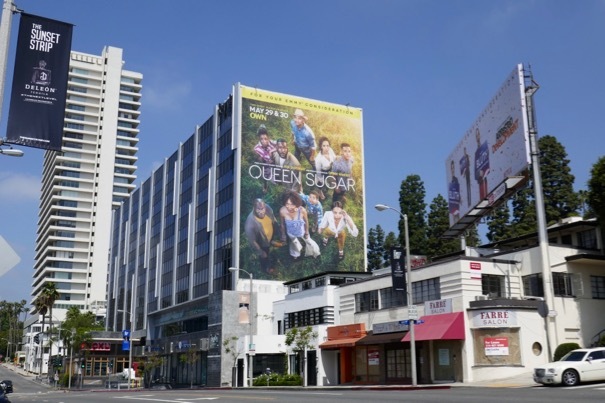 These season three billboards, also asking for passersby Emmy consideration, were spotted along West Hollywood's busy Sunset Strip from May 26 to May 29, 2018. 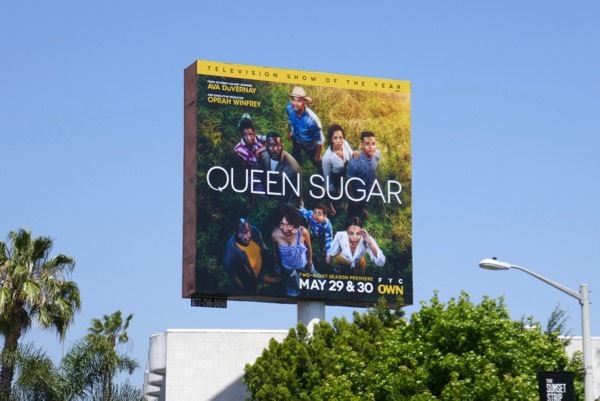 Fans of the family drama starring onscreen siblings Rutina Wesley, Dawn Lyen-Gardner and Kofi Siriboe, can also enjoy these Queen Sugar season two billboards from last June. 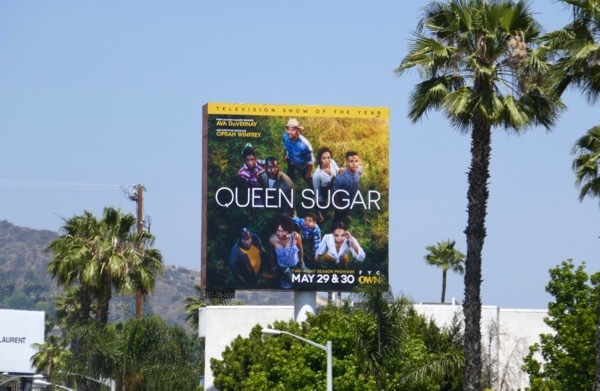 With a new sugarcane season can they keep the family farm alive, protect the community, navigate publishing opportunities, survive police brutality and the truth about the parentage of their kids. 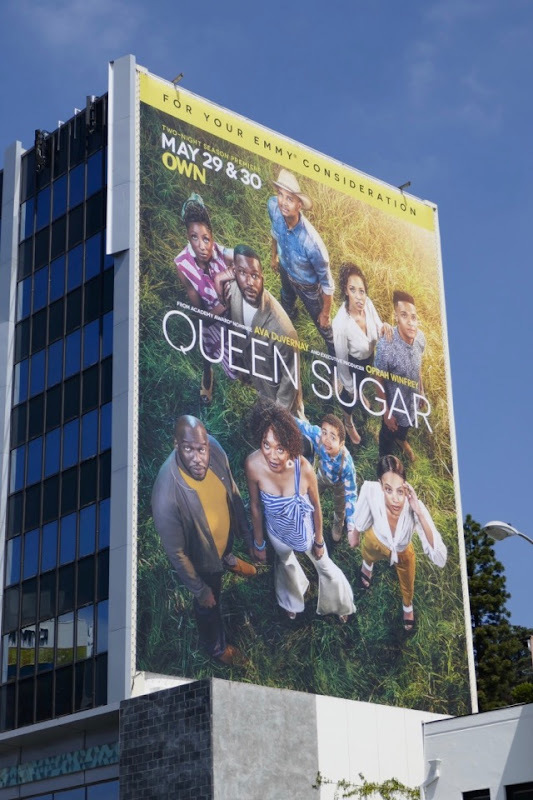 There's always drama with family involved.